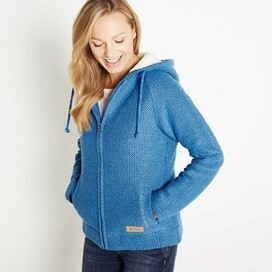 Wear the Kestrel full zip plush fur-lined Macaroni hoodie this season and enjoy next-level comfort and warmth. We have combined our Big Mac fabric - our thick, extra chunky version of our iconic Macaroni sweatshirt fabric with a super-soft luxurious plush fur lining for the most snugly feeling imaginable. 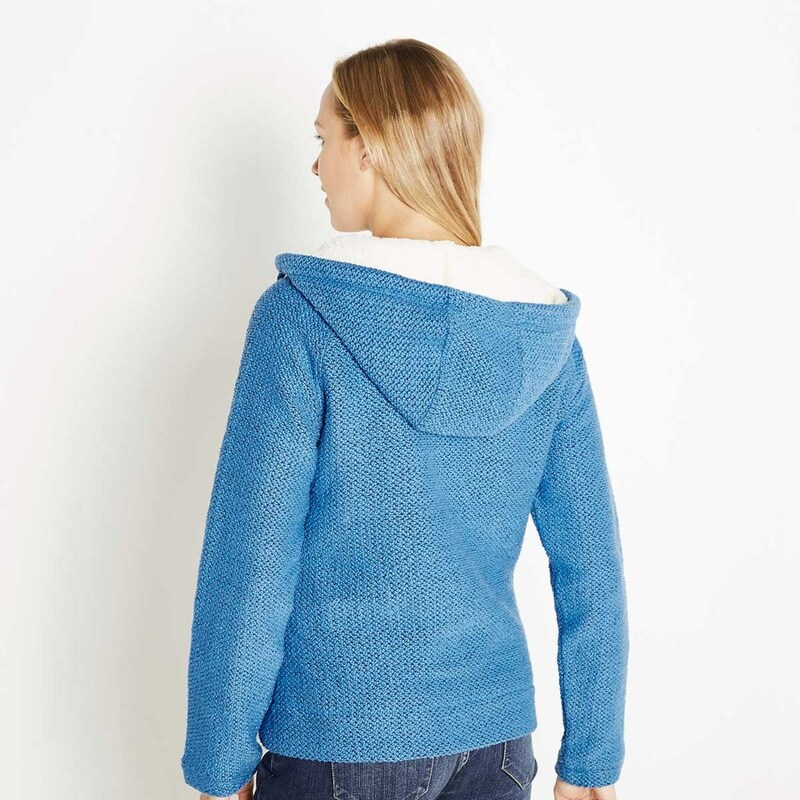 This warm, luxurious Macaroni hoodie is perfect for quickly throwing on over lighter tops when you’re in the great outdoors and temperatures drop. Have previously purchased this item in another colour. It was my initiation item to the world of Weird Fish. Smart, warm & very comfortable to wear. Have always received nice comments when wearing it! 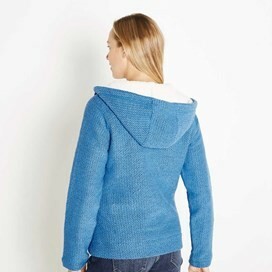 Bought with large discount, but would have been happy to pay full price for such a lovely, top quality hoody. I'm normally somewhere between a size 8 and 10 (and height of five feet two inches), depending on the cut and/or fit of garments, so was hoping the size 8 wouldn't be too small. It's a great fit, with lovely soft lining, hood a generous size, and will look forward to wearing it next autumn/winter, as probably going to be too warm to wear it soon (writing this in April). Would definitely recommend. 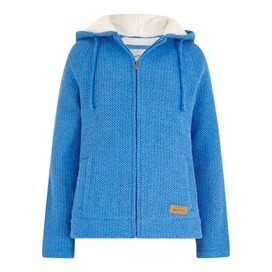 This is a lovely hoodie, very good quality and a gorgeous colour. The only slight drawback for me is that it's on the large side including the sleeves which are a couple of inches too long. However, the next size down would probably be too small so I'll stick with the extra room and at least I can wear a thick jumper underneath! It's perfect for walking the dogs on a sunny spring morning! This jacket is so warm & keeps the cold wind out while walking along the beach. Quality is second to none. Couldn’t ask for a better buy. Although I usually wear a size 12 fleece/jacket, this came up very large on me. It was also very heavy so reluctantly I had to return it. Loved the colour though!